Situated in the lowlands of the beautiful hill station commonly called Lebong in Darjeeling is the shelter for animals founded by an Australian animal activist, Christine Townend. Since its foundation, Darjeeling animal shelter holds its name and fame for the deep love and respect the shelter has borne towards the stray animals living on the streets and surrounding areas. In a place like Darjeeling when it was felt that a shelter should start for animals, Christine dedicated her life serving the homeless animals and erected a peaceful and quiet haven for these unloved animals. 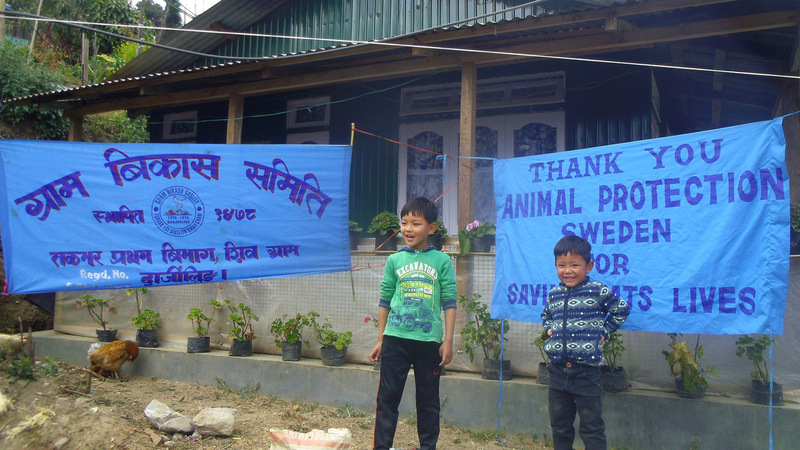 Darjeeling animal shelter over the years has achieved a lot and has brought a positive outcome into the lives of animals and people. 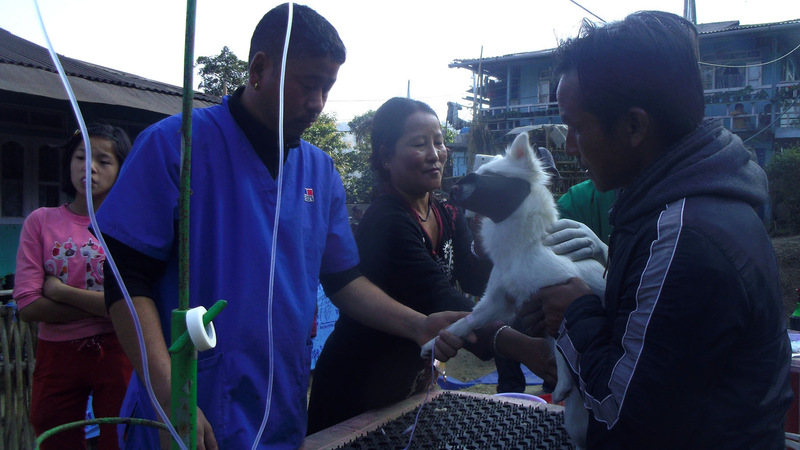 Darjeeling Animal Shelter, a sister organisation to KAS has been equally playing a pivotal role in saving the lives of thousand animals. Animal birth control and anti-rabies vaccination camps being the first and foremost priority of both shelters,such camps hold great importance in both Hill stations.Through such out-reach programmes,both DGAS and KAS help animals live a healthy life and develop that sense of understanding on the community about the welfare of animals. 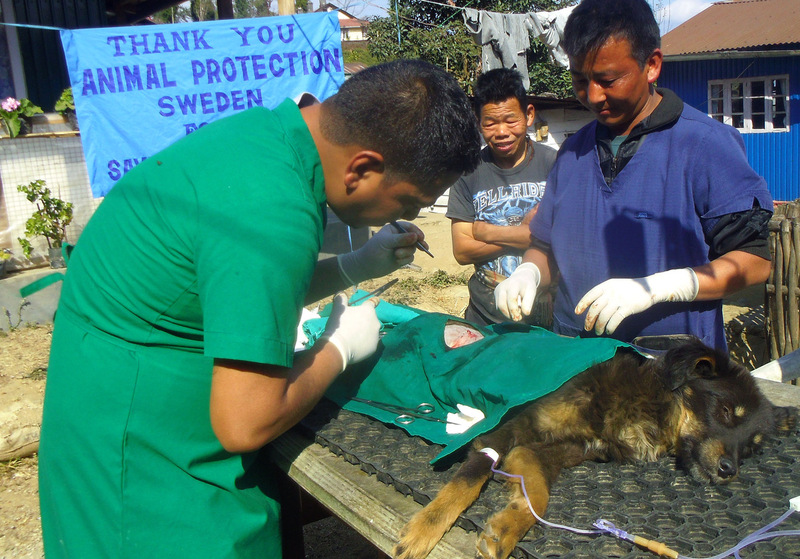 On the 12th of January,2018, DGAS conducted an ABC camp in a low-lying village, called Takvar far from town with the initiative of a village co-ordinator, Deepesh Dorjee.In the past even,DGAS had successfully operated many cats and dogs and vaccinated them in the same area.In this outlying village,animals are considered to be less important,they face atrocities every day,they are beaten up cruelly or tortured for running from one place to another in search of food and shelter. 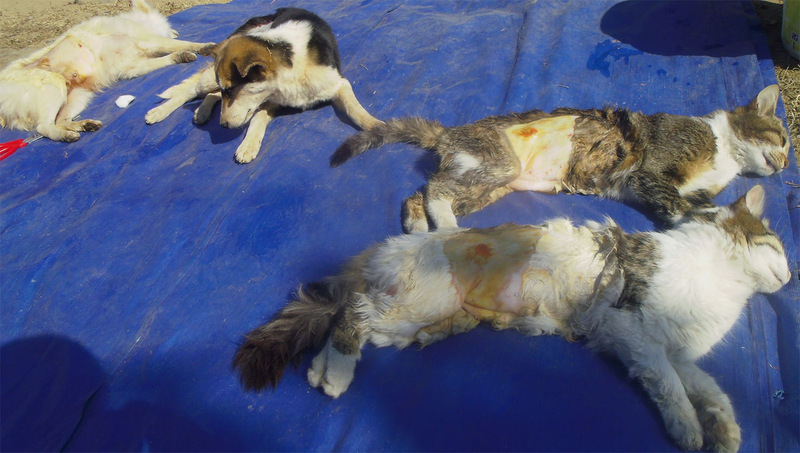 DGAS has always taken the lead when such practices have risen in saving those animals,but due to harsh behavior of people there,it took years for them to understand animals and their feelings. Today,the community has developed a sense of understanding towards animals through human education imparted by Darjeeling shelter on behalf of animals,and people are gradually learning to protect animals.Although a handful of people take the initiative there to hold camps,some are even there as the sole protectors to animals.And with their idea and consideration,DGAS with their support conducted a successful camp in the beginning of this year. The previous shelter Vet,Dr.Sameer Chhetri now working as the Govt. 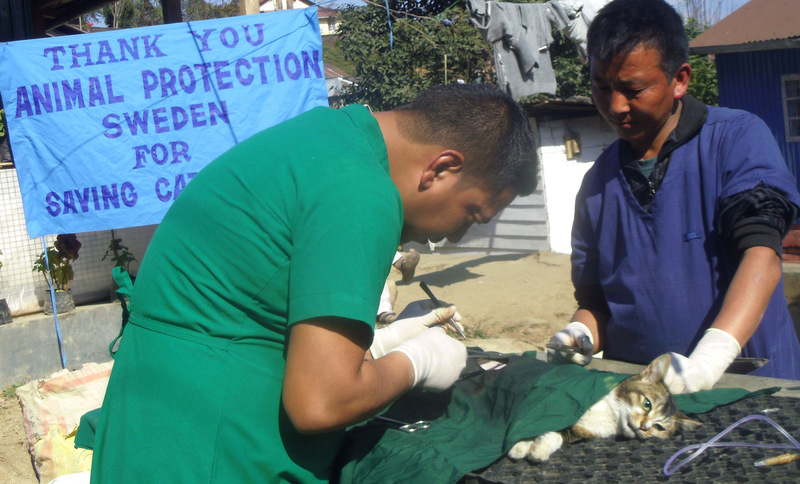 Veterinary officer has been volunteering at the shelter during his leisure time by operating and treating animals. This year too,Dr. 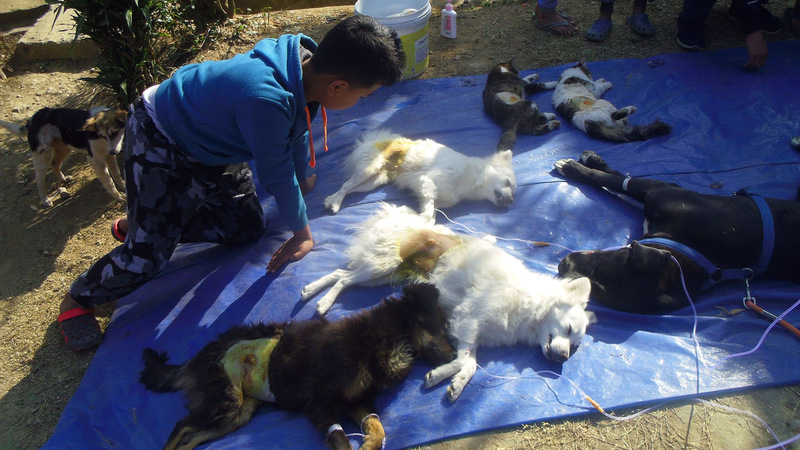 Sameer Chhetri,a resident of Darjeeling operated 15 dogs including three cats at camp in Takvar,Darjeeling assisted by compounders, Saila,Wongel and Raju. The team is very skilled in handling animals and sedating animals prior to spay and neuter of animals. DGAS team after the prior approval of the community stalled the camp in an open ground at Takvar,there were many children eager to see and learn the methods of open-flank surgery conducted by Dr. Sameer Chhetri.People of all age groups were also sensitised about animal health and well-being,treatment and cruelty,and mainly about the importance of animal birth control and rabies vaccination. 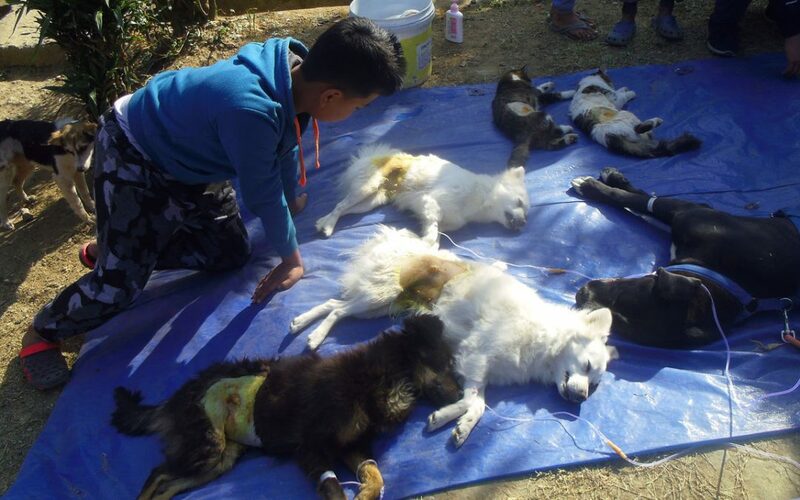 The community was relieved when DGAS operated dogs that desperately needed to undergo sterilisation and to bring their number under control for a healthy environment for both humans and animals.